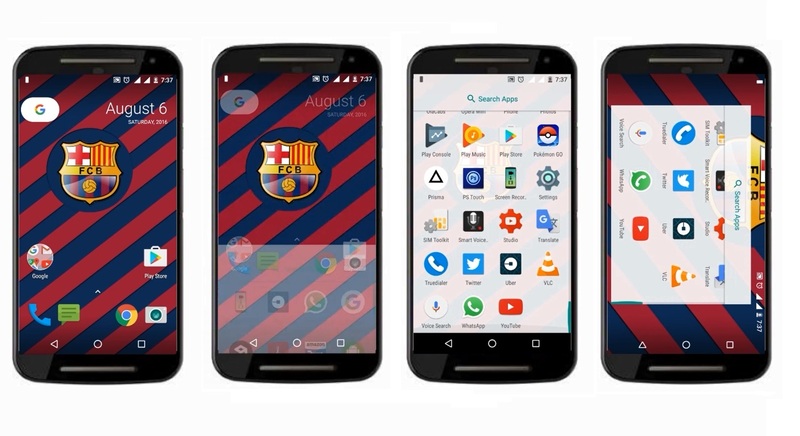 It is rumored that all new upcoming Nexus phones will come up with the Google’s new Nexus launcher. The new Nexus launcher is completely new designed launcher compared to Google Now launcher. You can download the Apk of the new Nexus auncher HERE. On the top right corner you will find a calender widegt which shows Day, Date and Year. although you can’t say its a widget since you won’t be able to move or get rid of it. The another big thing you will notice is the absence of the Home or Menu button. You can access the Application drawer by swiping up from the bottom. The new application drawer is now transperant instead of solid white color, which is a welcome change. You can access the Google now cards by enabling Google now app from the launcher setting. The new Nexus launcher is meant for Nexus devices but, I decided to use it on my Moto G 2nd Generation just to see how it works on non Nexus phone. As expected I am having some issues with it. I was unable to access the Google now cards, I tried multiple times enabling it from the Launcher setting but as you can see in the video, nothing happend. The another big issue is with the wallpaper picker, If you try to pick the wallpaper from the Launcher’s home screen the launcher will immediately crash. You can solve the wallpaper picker issue by installing a seprate wallpaper picker.